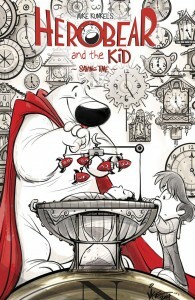 Animator Mike Kunkel returns to comics in a big way with the first new Herobear & The Kid series in over ten years. 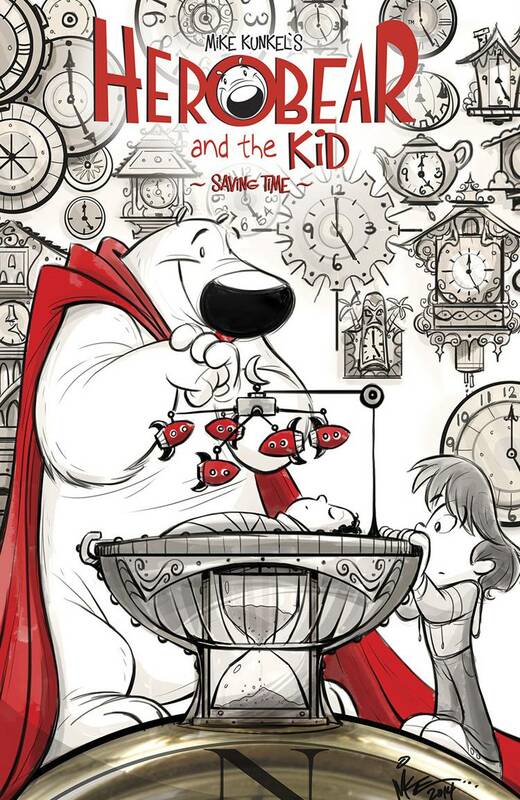 Young boy Tyler and his large flying friend are back in Herobear & The Kid: Saving Time, a new full-color 5-issue mini-series coming this month from Boom! Studios’ Kaboom! imprint. “Henry, the family’s magical butler, is missing!! It’s up to Tyler and Herobear to figure out what happened to their friend…only they might learn a lot more about Henry than they initially thought…and be forced to get help from an unsuspected source.” Check out the interview with creator Mike over at Comic Book Resources.